It’s “Chili” Outside! | Just Cuc It! Wow, it’s been pretty chilly in Houston lately! Sooo love it! The cold weather conjures up savory memories of a hearty beef stew, chicken and dumplings, Vietnamese pho or better yet, plain ole’ CHILI! I’ve never really thought very much of my chili, but I’ve made it a few times at the bar and a few times at home for some really happy tummies. 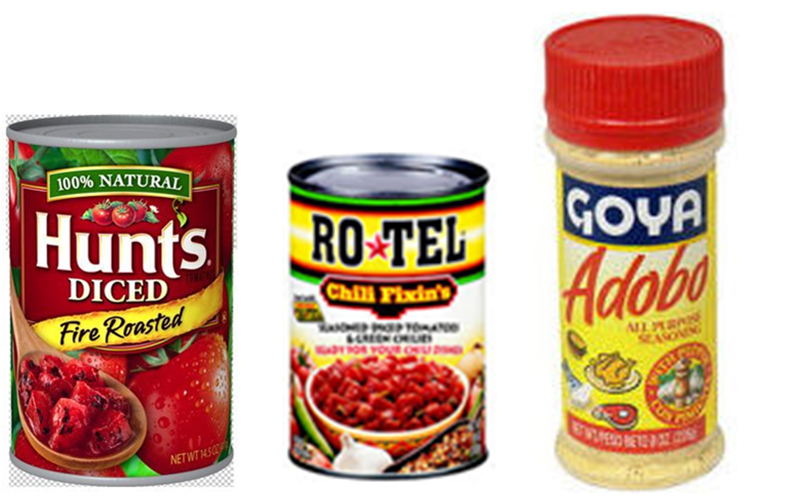 Nothing warms up your house like the smell of chili cooking in the air! It also helps that I allow my chili to stew in my nifty crock pot! Here is the quick and easy recipe, yall! Serve on top of Frito lay chips, top with cheddar cheese, finely chopped scallions and onions! 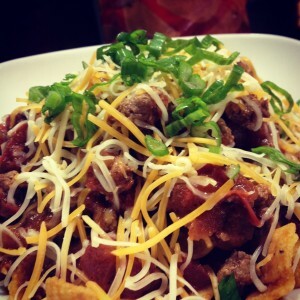 FRITO PIE! *I just updated this recipe to include the can of beer. My friend, Kelly reminded me how much I liked it with beer instead of water! If you don’t want to use beer, you can stick with about 1/4 cup of water!